The meteoric rise of veganism isn’t exactly new news anymore. Between 2017 and 2018 participants in Veganuary (people pledging to go plant-based for the month of January) grew by 183%. 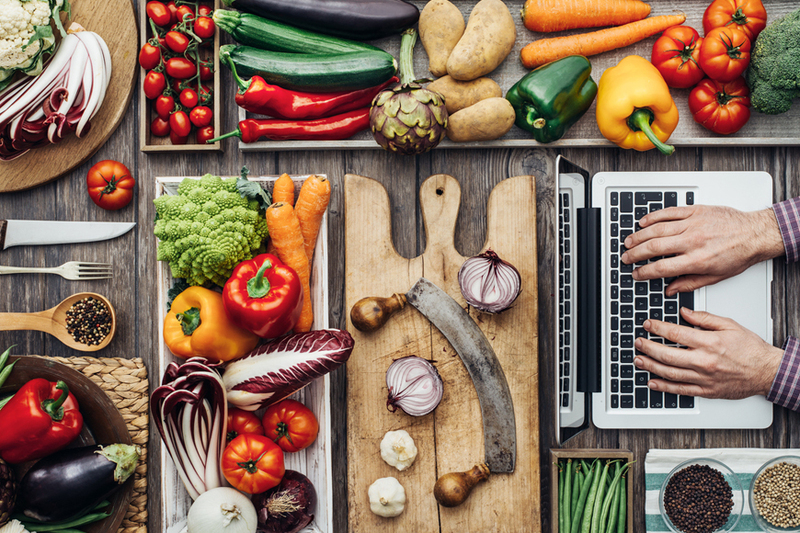 Since then, the animal-free movement has gone from strength to strength, with shops and restaurants rushing to offer more meat and dairy-free options than ever. Veganism is the practice of abstaining from consuming any animal products, which includes milk, cheese, eggs, honey and meat. 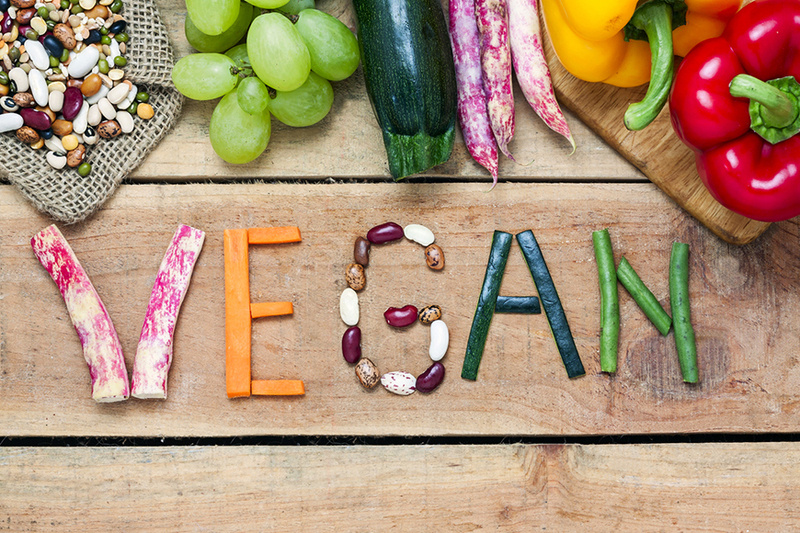 The plant-based diet is becoming increasingly popular worldwide –it’s recently started to trend in India –as many are recognising the holistic benefits of switching to veganism. Dubai has also seen an increase of vegan foods and restaurants popping up around the city. Being a vegan is nothing new, but ask any of your vegan friends and they may say that looking at the state restaurant menus, chefs consider it practically rocket science. Although times are changing and restaurants are becoming more accommodating, it’s not stopped those of the population who avoid animal products from taking matters into their own hands and creating the craziest, most extravagant concoctions. Buddha bowls are a big deal this year. 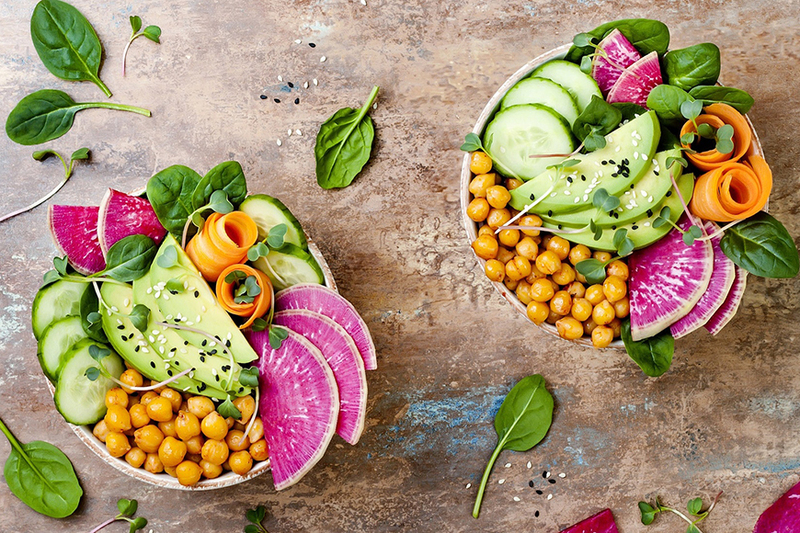 From rainbow veggies to destructed sushi, it seems like everything tastes better in a bowl. And TBH we can't really argue here. Something that’s trendy, colourful and healthy has all the rights to be insta-famous. In simpler terms, Buddha bowls are deep-rimmed dishes brimming with vibrant food (often vegan) but meat is allowed too. 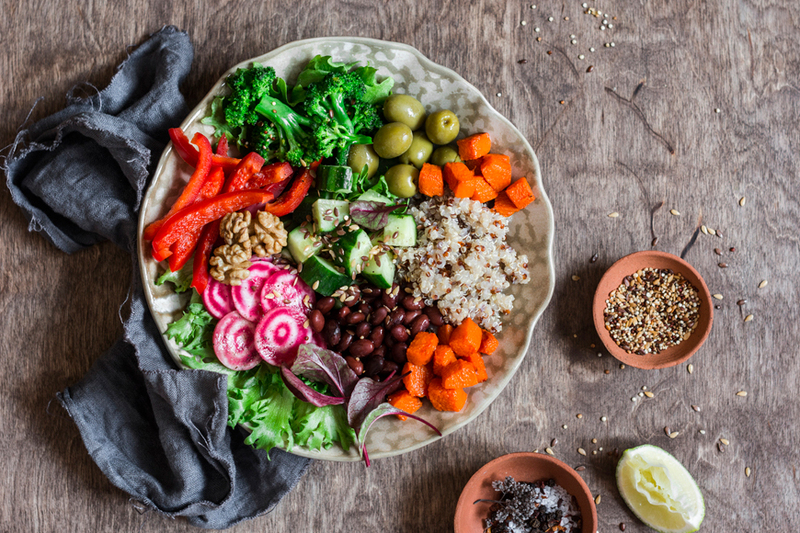 The healthy bowl typically contains 15 percent lean protein, 25 percent whole grains, 35 percent vegetables,10 percent sauce and 30 percent extras. 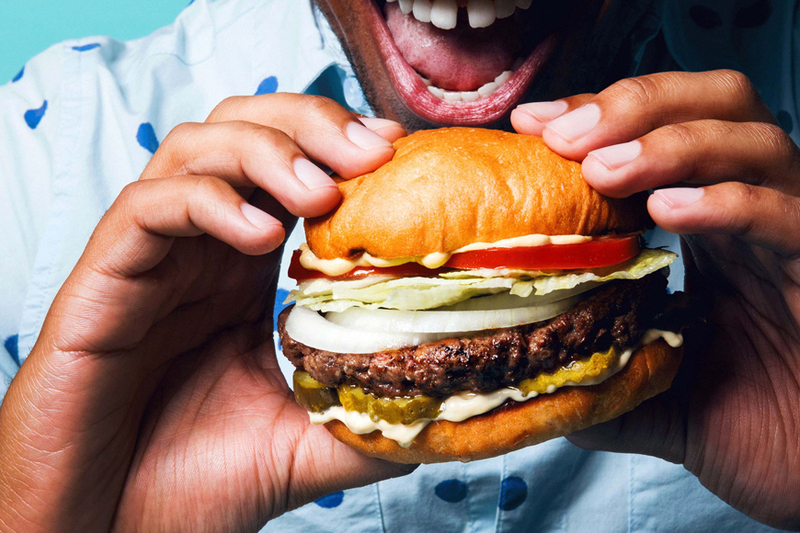 Veggie burgers don’t exactly have the best reputation in the business — and tbh we don’t blame them. It’s the whole idea of a burger with a bland flaky patty instead of a big fat meaty one that’s a big turn off. 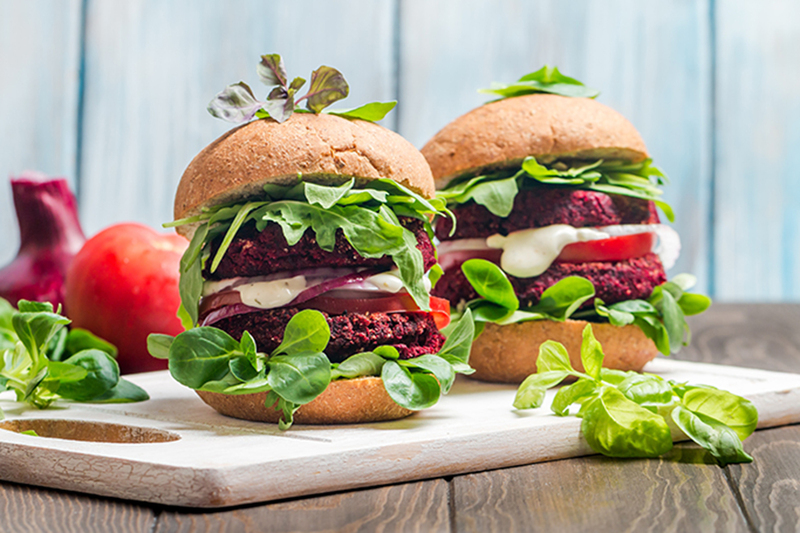 But believe it or not, there’s one veggie burger that looks, cooks, tastes and bleeds — just like a regular burger without using a single ounce of meat. Yes, we know what you’re thinking — another unicorn something! Thanks, but no thanks. TBH, we had the same thoughts until we stumbled upon these gorgeous can’t-take-my-eyes-off-pretty plates of unicorn noodles. 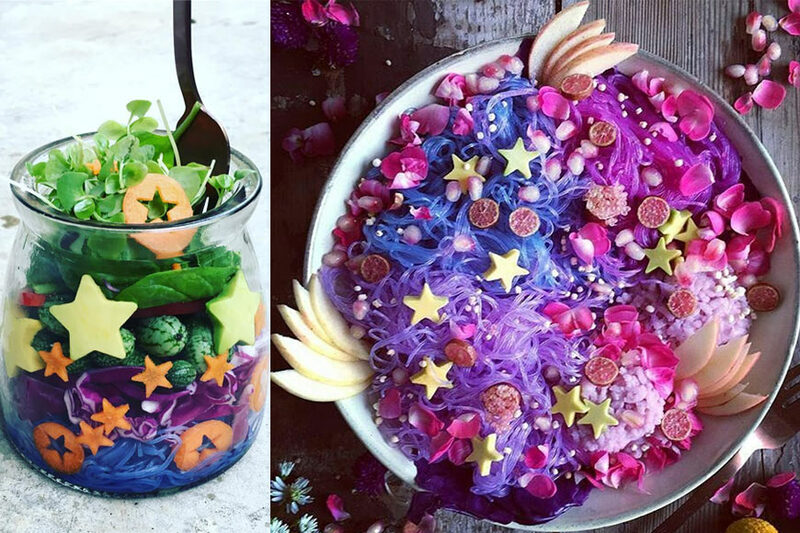 Unlike other cliché unicorn things including, lattes, cakes, muffins, hair and highlighters — these noodles look exactly like mermaid meets spring. 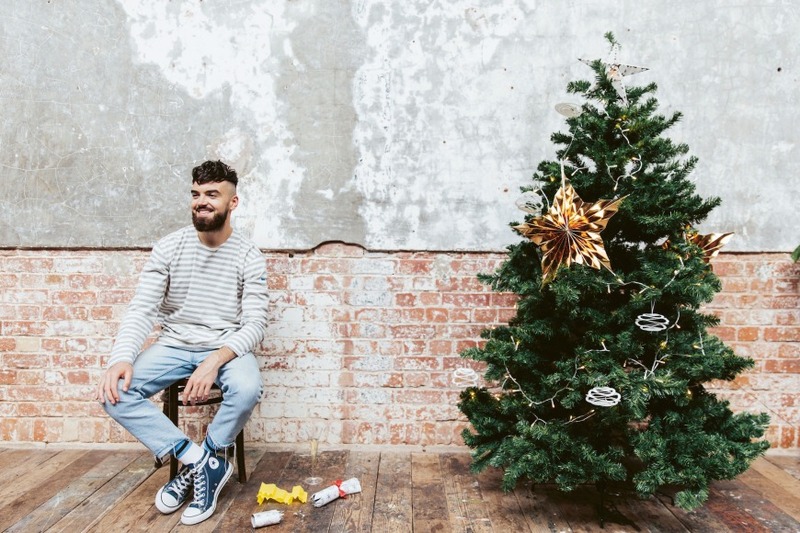 Traditionally, vegans - people who do not use, consume, or sometimes even wear animal products - were misunderstood as fringe eaters or alternative lifestyle freaks with an unnatural passion for animal rights, but the demographic of vegans and vegetarians is changing. A Hartman Group study found that 12% of Millennials are “faithful vegetarians”, compared to 4% of Gen X’ers and 1% of Baby-Boomers. In recent generations the percentage of vegetarians and vegans has steadily increased, with more and more regular folks, and not just token celebrities, embracing the lifestyle.